Sign up to Take the Get Naked Challenge to get longer, stronger nails! Ready for Gorgeous, Strong Nails? Want to get rid of hangnails and hydrate your nails? And when you take the Challenge with a friend, you'll have a buddy being brave with you while you BOTH give your nails an awesome boost! 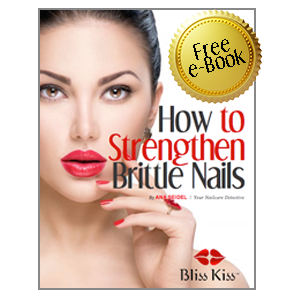 It's free to participate, and we'll send you a free ebook that will walk you through everything you need to know about getting the gorgeous nails you've always wanted. It's gonna be a blast! AND! We are giving away $75, $25, and $10 in Bliss Bucks to the randomly selected winners who participate in the Challenge. Sign up below to get ALL the "Get Naked Nails" Challenge details.